One of the five employees is Lon Rudnitsky. He has been a honorable and diligent member of the Pyromet team for 10 years. After spending 4 years in the United States Navy, he started with his family's silver recovery business in 1987. After his father’s retirement, Rudnitsky took over the business from 1990-1998. In 1998 Rudnitsky made a career decision and moved on from the family business, and partnered with the owners of Pyromet to start the film wash operation. 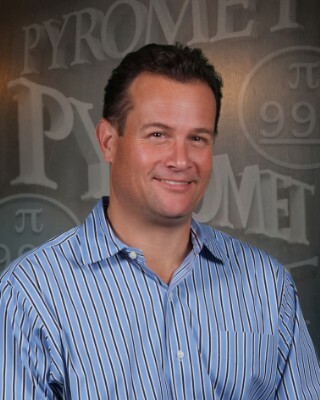 In 2003 he accepted a sales position with Pyromet, and have been part of this great team ever since. “I am proud to work with so many people that genuinely care about the business,” said Rudnitsky. He expressed how Pyromet is a fun place to work, and no matter how stressful the environment gets, we always are there for each other. Similar to Russo, Rudnitsky loves the Pyromet team like a family. “The management team is led by a great CEO, Scott Smith. His passion about the success of the business is contagious, and I have learned a lot from him,” said Rudnitsky. Rudnitsky is proud to see Pyromet grow from just the owners to now over 50 employees. Pyromet is a story of what enthusiasm and entrepreneurship can create in a free enterprise.